I wavered between wanting to love this book and having to prop my eyelids open to be quite honest. I read the awesome reviews by Joni Eareckson Tada and Jim Cymbala. I thought the bought would grab me right away. On the other hand, I thought the title sounded like a Southern Baptist sermon series. 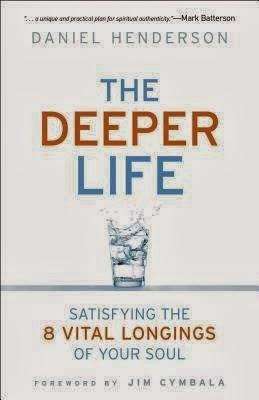 Of course, we all want a deeper life with Jesus. We want to know hime more intimately. I thought I would give Mr. Henderson a shot at speaking to my heart as I read his book. The man had good things to say. He had beautiful scripture to quote and core theology to outline. His book was right on point. For some reason, I had a hard time reading it however. Perhaps it read more like a collection of sermons or a text book. In that vein, it was well put together. If your mind works that way or you are looking for a place to plunge into some core knowledge, this would be great for you. I may or may not be inclined to lend it to a friend. It's not something you run over to your bests house with proclaiming that she must read it.